Patricia Lovell, Award winning producer of some of the classic Australian films of the 70s, passed away yesterday from liver cancer aged 83. 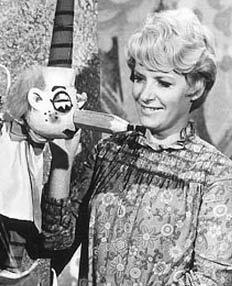 Although Patricia Lovell will be remembered fondly by many Australians for her fifteen year role as “Miss Pat” in ABC TV’s Mr Squiggle, her contribution to the Australian Film Industry was significant. Her first film as producer was Picnic at Hanging Rock in 1975. The project was her vision and she put her heart and soul into making it a success. She enlisted her friend Peter Weir to direct it and invested her own money and time in making it one of the most successful Australian films of the era. At the premiere of Picnic at Hanging Rock she met the pioneer Australian Film maker Ken G. Hall and he became a mentor for her. After Picnic at Hanging Rock, Lovell produced two more Australian films Break of Day and Summerfield. Patricia Lovell had built a reputation for her exceptional organisational skills and her ability to raise finance for Australian films. In 1979, Peter Weir asked her to produce Gallipoli. Lovell was able to raise enough money to make the film and Gallipoli proved to be a major box office success. Patricia Lovell’s next film was Monkey Grip with Noni Hazelhurst and Colin Friels. Financing for the film was tight and Lovell was initially forced to handle the distribution of the film. After a successful opening Roadshow took over. Patricia Lovell went on to be Head of Producing at the Australian Film, Television and Radio School between 1996 and 2003. She was awarded an MBE in 1978 and an AM (Order of Australia) in 1980. She was also the recipient of the 2010 Ken G.Hall Film Preservation Award. Patricia Lovell’s contribution to the Australian Film Industry has been immense.